On Wednesday July 31, the people of Zimbabwe will go to the polls. Once again, there has been all kinds of chicanery carried out by President Robert Mugabe and his henchmen to do everything they can to ensure a win for ZANU-PF. Among the dirty tricks has been a ‘special voting’ weekend for members of the armed forces and police which took place on July 14 and 15; the reason being given for this was that the personnel would be needed on election day to ensure security. However, this ‘special vote’ was nothing short of chaotic with many of those wishing to vote unable to do so. There is now concern that members of the security forces, traditionally Mugabe supporters, may vote twice following a Constitutional Court order that those who did not get the chance to vote can do so along with the general population on Wednesday. Then there is the curious case of ballot papers from the special vote in favour of the opposition MDC party leader, Morgan Tsvangirai, being found in a rubbish bin outside the Harare International Conference Centre. The Deputy Transport Minister has been arrested and is being questioned by police in regards to this matter. Finally there are the words of President Mugabe himself, who has been in power for 33 years, presiding over the downfall of his country from economic boom to disaster, starvation and disease. Mugabe is 89 now but in his speeches at party rallies he appears to hint that he will not accept the result if Morgan Tsvangirai and his MDC party wins. In previous election campaigns, President Mugabe and his ZANU-PF cronies have been able to control the media, making sure that newspapers etc toe the party line, but in 2013, social media has changed the way that people communicate and disseminate information. One Facebook page in particular, that of ‘Baba Jukwa‘ has over 300,000 followers. No-one knows who ‘Baba Jukwa’ is but his or her posts have led to Mugabe putting a price on his or her head. Zimbabweans have an historic chance to bring about the change that the country so desperately needs but the fear is at what cost? Can the despotic Mugabe finally be brought down? Only the people of Zimbabwe can answer that question at the ballot box. saw the terrible train crash on the news. So many people, excitedly looking forward to the fiesta, killed in what appears to be a moment of madness. It’s still not clear exactly what happened but the driver is alleged to have told investigators that he was travelling too fast on a curve. The horrific CCTV footage shows the awful moment of impact. 80 people have so far died and many have been injured, some seriously. This is the third rail disaster in a few weeks, first in Canada, then in France and now in Spain. We are so used to worrying about getting on planes that train travel doesn’t merit a second thought, unless in a Third World country. In fact, Spain has one of the best rail systems in the world with an excellent safety record. It just took one man’s moment of insanity to bring death and destruction to so many. Read how a mother tried to protect her son from arrest by burning the Picasso painting and other art works that he and other members of a gang had stolen from a Dutch art gallery in 2012. It’s all happening in Glasgow as the annual Glasgow Fair gets underway. Originally the fair was a time when people could bring goods to a market held in the precincts of Glasgow Cathedral, or bring livestock to be traded. The origins of the Fair can be traced back as far as the 12th Century. 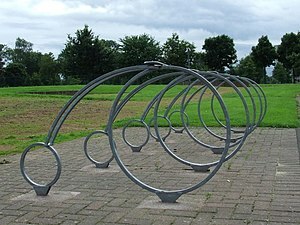 In the 1800s, the Fair was moved to the much bigger area of Glasgow Green and gradually became a time when Glaswegians would take their summer holidays. The Glasgow Fair now extends over a fortnight. After the Second World War, it became traditional for factories and businesses to close so that workers could enjoy the holiday. Thousands would head for the coast either by train or on paddle steamers, a tradition that became known as going “doon the watter”. These days, only the Monday is a local holiday. However the Fair Fortnight is a time of fun and frivolity in Scotland’s largest city with everything from life music, street theatre and continental markets to the fair itself on Glasgow Green with its scream-inducing rides, popcorn and candyfloss. For information about events taking place, click here. Pray for Zimbabwe as once again it faces an election. Sue Marsh is an avid campaigner for disabled people across Britain. In this article in today’s Guardian newspaper, she explains just how tough it is for disabled people to survive in the face of stinging government cuts. We are not scroungers. We are sick, in pain and doing the best we can to cope with our diseases and the effect they have on our lives. Nobody asks to be sick, to be in pain every minute of every day. To be made to feel less than human by the government and the media has been the final straw for many, with the suicide rate amongst the disabled continuing to rise. Before you tsk and tut, think about this. One day it could be you that is diagnosed with a disabling disease or someone you love. No matter how well you eat or how healthy you are today, that could all suddenly change in a heart dropping moment in a doctor’s surgery. How would you feel then? What an incredible match! Andy Murray won the 2013 Wimbledon Men’s Singles Championship, the first British man to do so for 77 years. One of the best known, and most controversial, annual festivals in Spain takes place in early July in Pamplona. The week long festival is held in honour of San Fermin, said to have been the first Bishop of Pamplona who was decapitated in the third century AD. He is the patron saint of boot makers, wine traders and bakers and is co-patron, with St Francis Xavier, of the Spanish province of Navarre. So, how did a Bishop get involved in the annual bull running event made famous by Ernest Hemingway in his novel ‘The Sun Also Rises’? 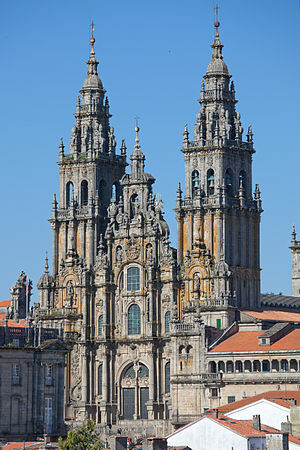 The Festival dates back to the 12th Century and was a mixture of reverence to the saint, markets and bullfights. Originally, the festival was only two days long and was held in October until the constant bad weather persuaded the people of Pamplona to move the date to July in 1591. Over the centuries more events such as music, dance, fairground attractions and parades were added to the religious aspect, causing some concern amongst the clergy, but at the heart of the festival, there was always the running of the bulls through the streets of Pamplona and the bullfights. From July 7-14, every morning at 8am, the bulls are let loose into the streets in an event called ‘el encierro‘. They run between a special holding corral and the bullring, covering a distance of 825 metres. In times gone by, it was the easiest way to get the bulls from outside the city into the bullring. As the bulls ran, young men would run in front of them to prove their bravery. 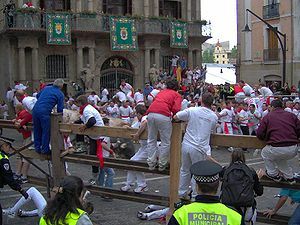 This has now become the most famous part of the whole event as television channels the world over show the bulls with hordes of young people, dressed in white with scarves showing which peña, or fan club, they belong to around their necks, running in front of them or trying to touch them. Usually between 10 and 12 bulls are released every morning. The route is lined with a double fence which stops the bulls from running into side streets. There is a gap large enough between the barriers to allow people to escape but not the bulls. Every year, however, many people are injured during the event. Some are trampled, some are knocked down and some are gored by the maddened bulls. Surprisingly, there have only been fifteen deaths since records began in 1924. Once the bulls reach the bullring, they are separated out and the best ones are chosen for the bullfights which takes place in the evening. Tickets for the ‘corrida‘ as it is known in Spanish are much sought after. Next, the two picadors will enter the ring with their horses blindfolded and padded. They each carry a lance which they will use to attempt to stab into the large muscle of the bull’s neck. The horses are very highly trained and can turn instantly but they are on occasion injured and indeed killed. The use of the lances by the picadors will cause the bull to start losing blood which will weaken him. A judge will decide when the picadors have hit the bull enough times to cause the right level of weakness and the matador may ask for further attacks to be made. Then the banderilleros will re-enter the ring. Their job is to attempt to plant brightly-coloured sticks with sharp barbs into the shoulders of the bull. This further weakens the bull and obviously causes even more loss of blood. Finally, the matador will re-enter the ring carrying a small red cape (the colour doesn’t matter as bulls are colour-blind; it is just tradition that dictates the colour) and a sword. The cape is stretched out either by using a piece of wood or at times, the sword. The matador will then make several passes with the cape, getting as close to the bull as he dare. The idea is to show his control and his ability. It is at this point that the matador is most in danger and many have been gored by being careless or losing concentration at a crucial moment. Doctors are always on hand to deal instantly with any injuries. Again, there are traditional moves that are made with the cape, with certain passes being seen by the crowds as more impressive than others. Finally, the matador will try and get close enough to kill the bull with a thrust of the sword at an exact point which goes through the spine and into the aorta. Every year, there are protests by animal rights campaigners against the San Fermin fiesta but it would seem that the tradition is so entrenched in Pamplona that it is unlikely that the event will end. Many thousands of people travel from all over the world to watch the bull running and the bullfights, providing a much needed boost to the local economy.These days, many Spaniards are against bull fighting but there are many more who consider bull fighting to be an art form, a spectacular dance to the death between man and beast.